The gem of Northern Virginia, Gainesville is a quaint and charming town that boasts a great quality of life and plentiful amenities for its residents. Its rapid population growth attests its appeal to homebuyers, yet it has managed to maintain its rural charm and rich heritage at the same time. Gainesville VA real estate is one of the top opportunities in the region, with affordable home prices brief commutes to Washington, D.C. and other nearby cities. 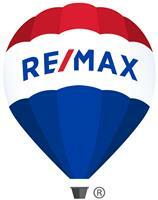 Gainesville real estate works well for everyone from commuters to retirees to young families. 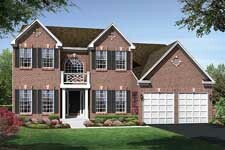 Gainesville VA homes are available in a bevy of great choices at affordable prices. For anyone interested in buying property in Northern Virginia, real estate in Gainesville is a great bet. Gainesville homes are highly affordable and come in a wide array of choices for prospective homebuyers and real estate investors. Historic townhouses dating back to the 1800s are available as well as modern duplexes, apartments and condos. Gainesville homes for sale also benefit from competitive interest rates and strong value, making them an ideal choice for homeowners looking for a long-term investment to build wealth. Homes for sale in Gainesville and Gainesville properties are very affordable and a great choice for young professionals working in the nation’s capital as well as retirees and families looking for a safe and historic community to live in. With the town’s strong real estate market and competitive prices, there’s never been a better time to be a Gainesville home buyer. The town, in addition to its affordable real estate and wealth of home choices, also offers a very high quality of life and excellent amenities and attractions. Gainesville boasts excellent public and private schools such as St. Anne’s Academy for Girls as well as an abundance of shops, restaurants and community centers. 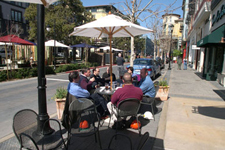 The town also enjoys a low cost of living, low crime rates and plenty of rural land and public spaces. Gainesville also benefits from its close proximity to Washington, D.C. and other major cities like Alexandria, Arlington and Baltimore. The nation’s capital city offers a booming labor market, world-class museums and theaters and access to mass transit options like Washington Dulles International Airport and Ronald Reagan Washington National Airport. With its quaint charm, strong sense of community and affordable real estate market, Gainesville is one of the best real estate opportunities in Northern Virginia. Those interested in real estate in this charming town should contact a local Gainesville REALTOR® or Gainesville real estate agent as soon as possible. The community is too good of an opportunity to pass up. Call Gloria Macneil today for assistance with Gainesville VA real estate.